In this time of almost constant tensions between people of various faiths and beliefs, it is important to remember that we actually can find common spiritual ground if we choose to. Those of us on the path, seeking the Light, should especially bear this in mind and be careful not to disparage others because of their spiritual views. 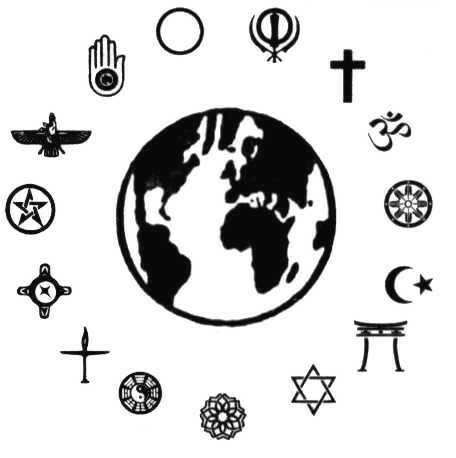 There are many religions in the world. It may be true that not all of them have been inspired by Divine Spirit – but those that have been are part of a primal human tradition, they are emanations of a universal impulse to harmony and joy. 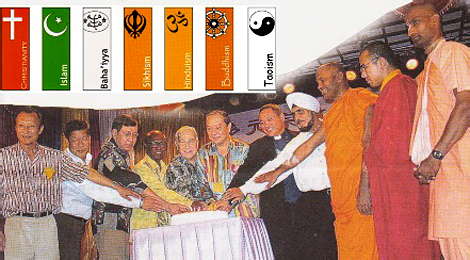 The truly inspired religions are an expression of Divine Wisdom; however, that doesn’t mean they contain Absolute Truth. Also, most of them have become distorted over the centuries, and have moved far from their original mission and purpose. Still, they serve as a spiritual guide for billions of people around the world and are, therefore, deserving of respect. Now, we might think that many of these religions just do not represent the current needs of humanity anymore and are possibly even detrimental to social evolution. Nevertheless, as followers of the path, we should not outright condemn them. Instead we should try to find within them that certain something that continues to help people rise up toward a higher plane of awareness. Mystically speaking, all the inspired religions of the past and present are destined to eventually manifest a Universal Religion that will be a synthesis of their most beautiful principles. As seekers of Light, we can play a primary role in making this happen by serving as examples of harmony and tolerance when we speak of our own spirituality. 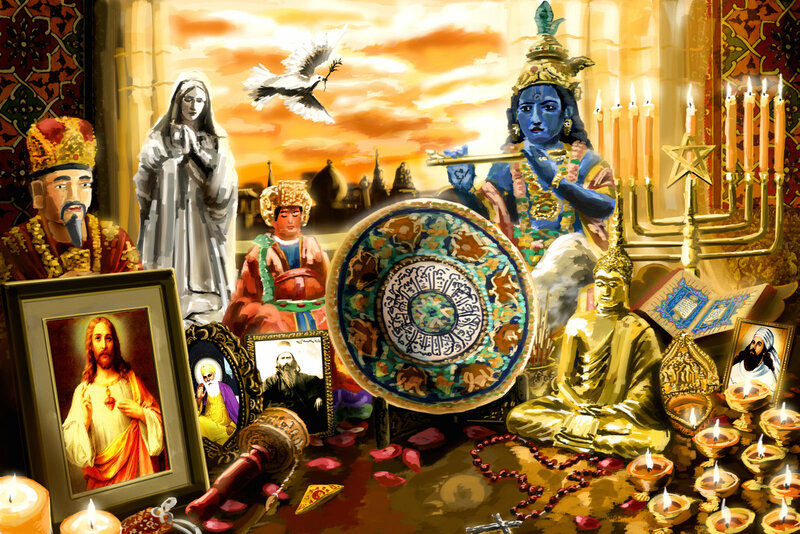 A useful exercise for all of us is to learn as much as possible about the messages proclaimed by spiritual masters such as Moses, Buddha, Jesus, Krishna and Muhammad, and be aware of their legacy to the world. The light these people and others like them have brought to humanity must be preserved in its purer state and conveyed to future generations. Their lives and works are examples for all of us who seek knowledge and enlightenment. Their words and actions are a great source of true wisdom. One of the greatest causes of conflict among people has always been religious intolerance. Consider world history: How many wars have been fought for the glory of the Divine? And, how many crimes and atrocities have been committed in the name of one God or another? These wars and crimes generally originate in fanaticism – that is, a conviction that one’s own religion is the only True religion, the only path to salvation, and is superior to all others. Of course, this is nonsense – no religion represents Absolute Truth, and such a conviction, whether acted upon or not, generates particularly negative karma for those who teach or defend it. As seekers of Light, we must release ourselves from such beliefs and strive to be tolerant in your mystical quest. That doesn’t mean we have to embrace, accept or support all the various beliefs and religions, but we should remember that in the eyes of the Divine Spirit all people are brothers and sisters and all are evolving toward the same goal: the perfection of their soul. why do we need the perfection of the soul? why is it nonsense that their may be absolute truth in one religion?